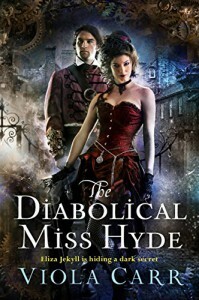 The Diabolical Miss Hyde - Final thoughts - want a real life adventure? come to Australia we have spiders bigger than your hand. Otherwise an intriguing enough book, the split in personality and love interest was certainly interesting <spoiler> especially with that psycho Mr Todd, boy is he insane! can't see how Eliza could possibly feel anything positive for him, though I do fancy the red hair</spoiler>. Wouldn't mind seeing where that went, and I did so enjoy the struggle between Lizze & Eliza & there odd affection for each other. So I might pick up the other books in the series at some time, but not for a while I don't think. Oh and for some odd reason I couldn't get the idea of Hippocrates being bug shaped out of my head, they constantly referred to him as a dog, but based on the descriptions but brain kept referring to him as a bug, maybe a lady beetle? 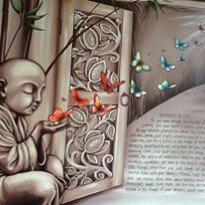 sadly we saw less and less of him as the book went on. Hopefully he'll be in the next one.